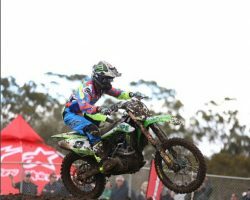 A rain-affected round three of the 2016 Motul MX Nationals at Broadford threw up mixed results for National Pump Monster Energy Kawasaki Racing Team. Matt and Jake Moss continued to run near the front of the pack, while MX1 contender Kade Mosig crashed out and is awaiting the outcome from scans as to the extent of his injuries. 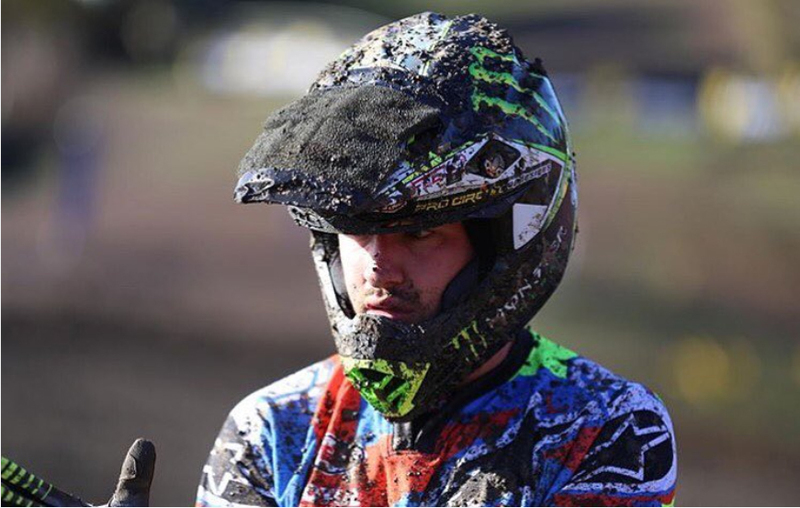 Heavy overnight rain turned the Broadford hillside into a quagmire before the gates opened, with on-track conditions being so treacherous officials cancelled qualifying and Super Pole. 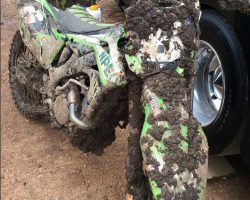 While conditions generally improved as the day progressed, another downpour during the second motos ensured the third round of the championship was one that tested the Kawasaki racers and their machines to the limit. 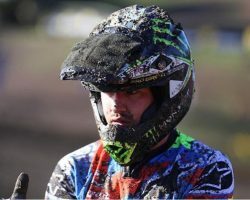 In the premier MX1 class two-time national champion Matt Moss proved the KX450F excels in challenging conditions as he tore to a brace of third places for fourth overall. 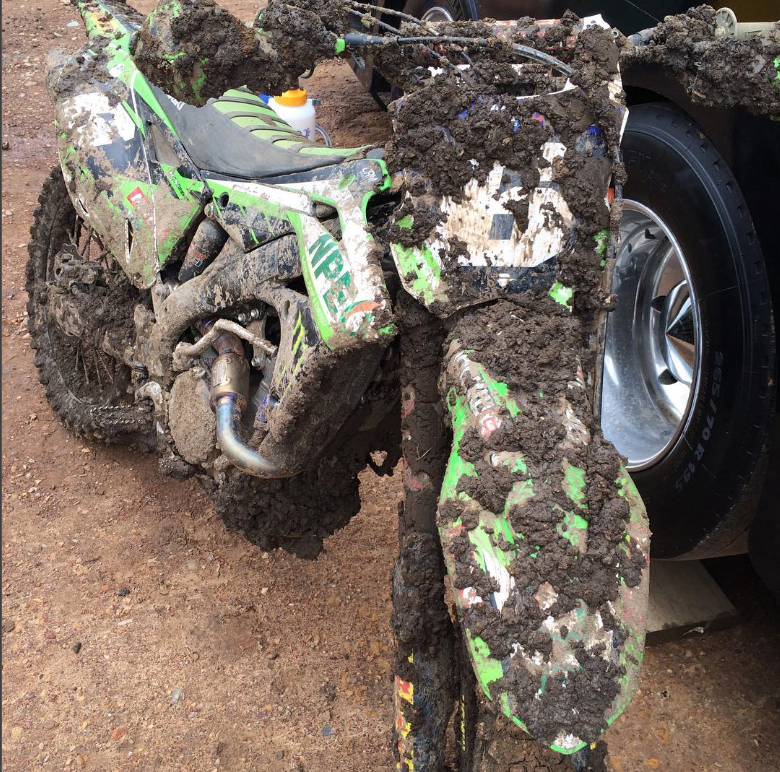 Meanwhile Moss’s fellow MX1 teammate Kade Mosig fell victim to the challenging conditions in the second race. After a creditable fifth in the opening moto, Mosig fell during the opening laps of the afternoon race and was struck by another rider and had to be attended to by the RACESAFE Medical Team. 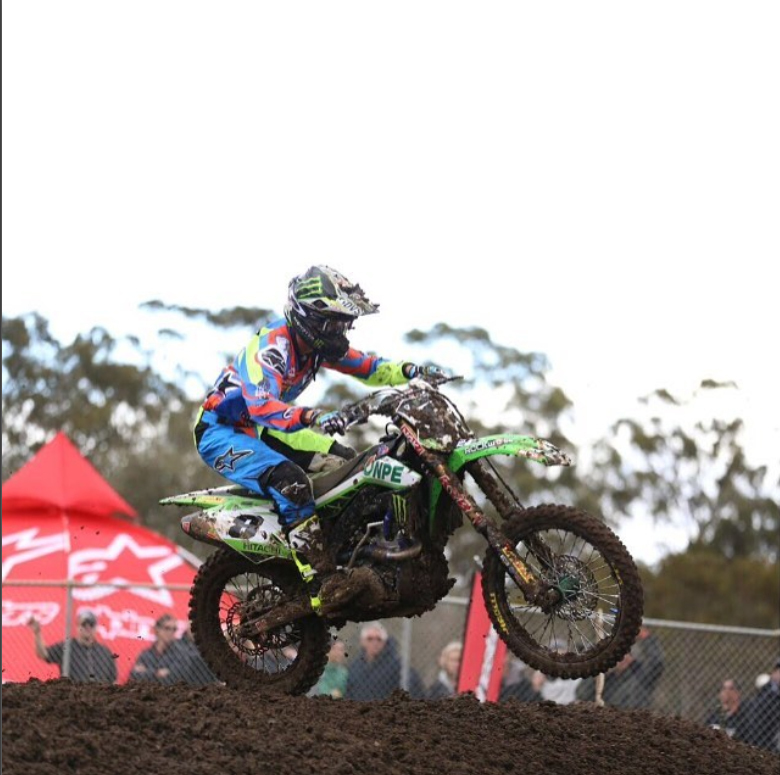 The fourth round of the 2016 MX Nationals is scheduled for Murray Bridge, South Australia, on Sunday, 22 May.